Should Dylann Roof Receive Death Penalty? 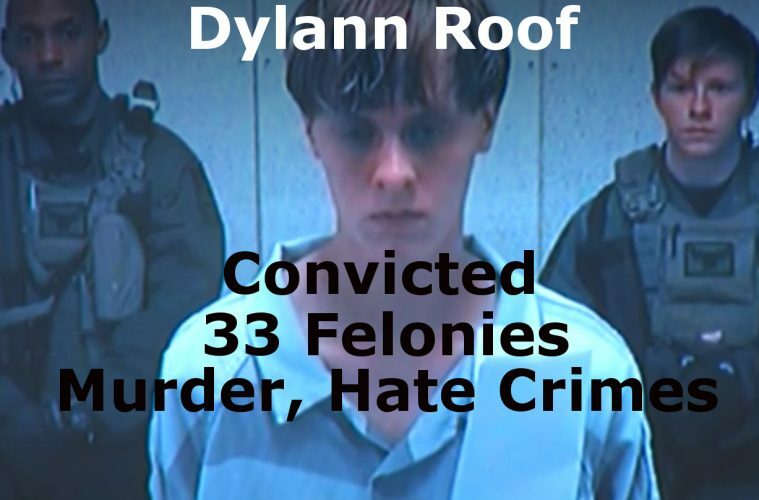 Dylann Roof was just found guilty of all 33 counts of murder and hate crimes. Should he be sentenced to death or life in prison? On June 17, 2015, a group of black parishioners were joined in their weekly Wednesday night Bible study at the Emanuel AME Church in Charleston, South Carolina. A young man with a troubled look on his face walked into the church and was invited to join in the Bible study. Instead, the young man, Dylann Roof, pulled out a gun and began shooting the black parishioners. When the shooting was over, 9 members of the small church were dead and 1 other was wounded. Among the dead was Senior Pastor and State Senator Clementa C. Pinkney. The community has come to refer to the victims of the slaughter as the Charleston Nine. The survivors of the shooting quickly identified Roof and a massive manhunt was launched by law enforcement. Roof’s father and uncle also contacted the FBI to verify Roof’s identity. Roof was arrested the following morning over 200 miles away from the scene of his carnage. When Roof was arrested, law enforcement found a gun in his car.